Tonight I sit alone in my home—a quartet of pants somersaulting in the dryer, the kitchen and bathroom floors newly clean (believe me, not a common state), a feeling of post-Christmas order in the living room (I took down the tree, perhaps my prettiest ever, last night). A cup of tea is empty, a crushing work deadline is over, and bed awaits with a book before sleep. There's little I like better than where I am right now. "Our offices should encourage casual, cafe-style interactions, but allow people to disappear into personalized, private spaces when they want to be alone. Our schools should teach children to work with others, but also to work on their own for sustained periods of time. And we must recognize that introverts . . . need extra quiet and privacy to do their best work." All I need now is an article about other introverts who close their curtains as soon as they come home and delight in the feeling that they're hidden from the world where no one can find them. An illusion, but a deeply satisfying one. Oh, and with photos of the cozy and creatively decorated houses and apartments these people come home to—how about it, New York Times? Speaking of New York (and I hope as proof that a sometime hermit is not all I am), what I'm most looking forward to this week is an up-and-back-in-one-day bus trip D. and I are taking on Saturday to see the Broadway play Other Desert Cities, starring the fabulous Rachel Griffiths). D. expressed concern that the trip would be exhausting. I said, "An entire day of uninterrupted time, just you and me on a bus making each other laugh and doing the Friday and Saturday Times crosswords together?" "He was asking for memories, too young to know that memories were only memories of memories. It was diamond-rare to remember something fresh." 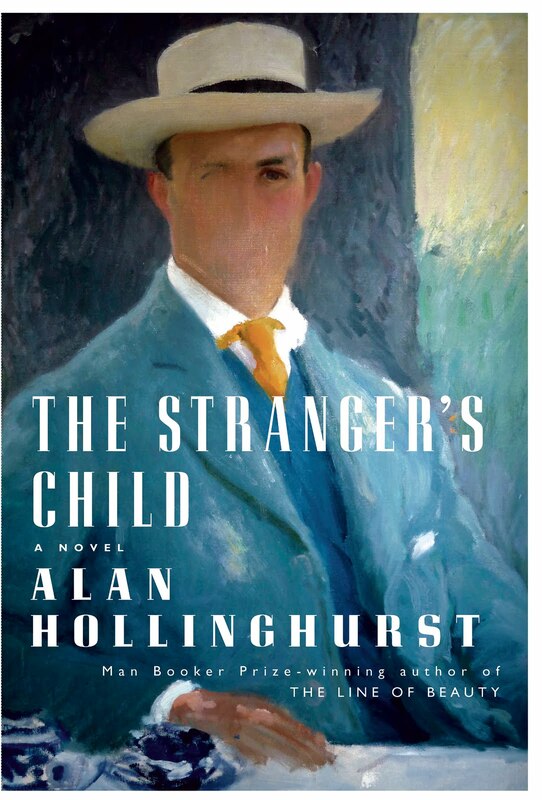 These are two typically beautiful and apt sentences from a novel I finished last night, The Stranger's Child by Alan Hollinghurst (about whom I've written before). It's largely about memory and versions of a life (one life in particular, that of a World War I poet); the mystery of what we can never know about someone because we're at the mercy of what he or she chooses to reveal; and the secrets that the satellites of people around that person keep, which we're often powerless to pry open. Here's another passage that rang so true to me. This scene takes place in 1967, outdoors in the shadow of a party; Paul has never been with a man before, and Peter has more experience. They're in their early twenties. "He'd brushed against Peter uncertainly as he giggled; now Peter's hand was round his neck, their faces close together in the spidery light through bushes, their eyes unreadable, a huddle of smiles and sighs, and then they kissed, smoke and metal, a weird mutual tasting, to which Paul gave himself with a shudder of disbelief. Peter pressed against him, with a slight squirming stoop to fit himself to him, the instant and unambiguous fact of his erection more shocking that the taste of his mouth. In the fierce close-up and the near-dark Paul saw only the curve of Peter's head, his hair in silhouette and the ragged crown of bushes beyond, black against the night sky. He took his cue from his movements, tried to mimic him, but the sudden stifling violence of another man's wants, all at once, instinctive and mechanical, was too much for him." It's been only a little more than four years, but D. and I already have different memories of the night we met, even argue about the date (easily—and often—provable thanks to calendars and journals, but still). What I was wearing, whether we actually danced that night or the next, when we kissed for the first time. I've written about it (not here but in an unpublished essay), and even I discovered—after I finished the essay—that I'd misremembered important details (specifically when D. first met my parents). I'm not sure I can say how any of it really happened, what's metal and what's smoke.